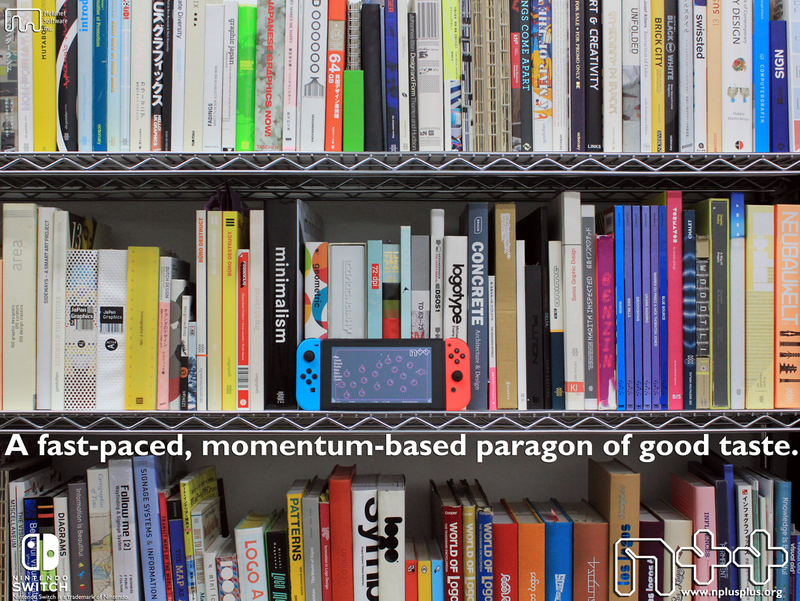 The moment that a lot of you have been waiting for is finally here: we are so, so proud and happy to announce that N++ is coming to Nintendo Switch! We partnered with Blitworks to make this happen, and we’ve all been working tirelessly on this since last year. We gotta tell you, it’s great! Fans and new players alike: you are going to love it. N++ feels great on the Switch, it is absolutely the perfect platform for the platforming perfection that is N++. That means you’ve got until then to spread the word and get hype. 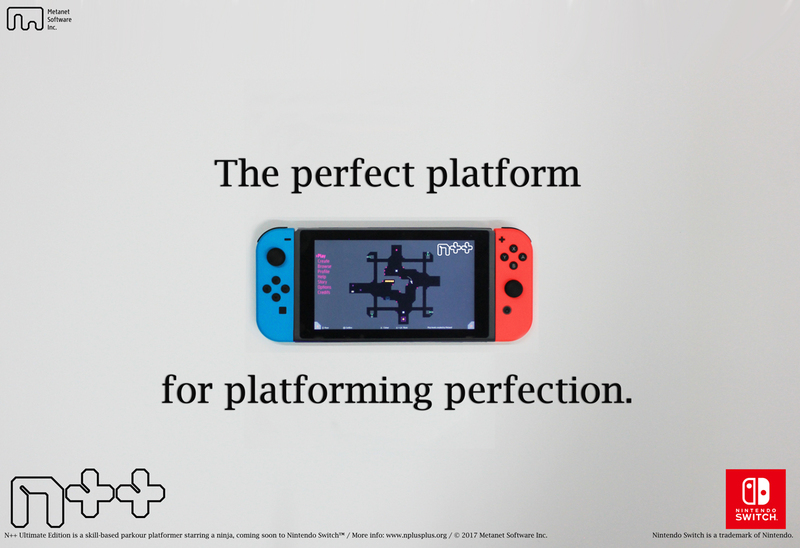 You’ll be able to add N++ to your Switch wishlist on May 17th, 2018, when the eShop pages go live in Europe, Australia and North America. Thank you so very much for this. I can’t tell you how much joy this brings me. I’m not usually like this with a game but something about the N series makes me happy and being able to take it on the go is going to bring so much awesomeness. I made an open promise a while back that if N++ came to the switch that I would gift this to ten people and I mean it. I am going to purchase ten gift cards and physically grab ten friends switches, load up the card and download the game to help get as much exposure for Metanet as possible! I never thought I would be messaging a game developer to thank them for their contribution to joy in my life, but here I am! This is great, but will it delay the Linux release? Ah, so the switch port it is. Although I’m not gonny buy it, I really hope this gets some more people to play this amazing game! PS: Is there ever going to be a physical copy? I just realized the announcement trailer didn’t mention the ability to create, play, and share user created levels. Please tell me the switch version will include that feature? Thanks. Alright, you got me ! I’m buying it a second time !!! This was my most wanted port :p Can’t wait. I was waiting for new blog so long, Cool. I want to share with you one song i’ve made that probarly fits on N++. I promised i wouldnt buy another e-shop switch game, but i lied – for N, i would. Get together with Limited Run Games for a physical copy preorder and I’ll double dip! !